The Fighting Hunger Incentive Act attempts to encourage more donations by increasing the value of deductions concerning food-related “charitable contributions.” Thus, if taxpayers provide more food donations, they will be able to deduct more from their taxes. However, those who oppose the Act, fear it may simply be exploiting hunger, both at home and abroad, to give a tax cut to larger corporations. Food waste in America is becoming a major issue that will only get worse before people start to realize it and try to solve the issue. 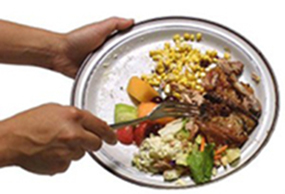 According to the National Resource Defense Council (NRDC), 40 percent of the food in the U.S. goes uneaten. That is equivalent to 20 pounds of food per person every month. This massive amount of food we throw in the trash also has an environmental and economic impact. Wasted food contributes 33 million tons of trash to landfills, where the wasted food decomposes and produces 25 percent of U.S. methane emissions. There is also a huge amount of water wasted each year used to irrigate uneaten crops. 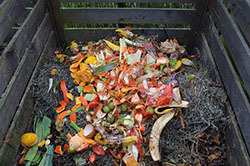 The monetary cost of food waste in the U.S. equals about $165 billion each year. $40 billion comes from household waste, and $750 million is spent on food just carelessly tossed in the trash, as opposed to industries tossing food that does not look visually appealing. There are a number of ways to prevent food waste. Some ways include, shopping smarter – buying only the things you need, dishing out smaller serving sizes, eating leftovers, having a good freezer and ignoring expiration dates. The latter could be the most difficult. However, expiration dates signal a food’s peak quality, not that it will spoil that day. To prevent food waste takes some attentiveness and desire to keep earth cleaner… and it takes a collective effort. As a part of La Salle University’s Exploring Nutrition, I traveled around to La Salle’s surrounding communities to gauge local residents’ thoughts about their source(s) of food. Specifically, I talked to several residents from Logan/Ogontz/Fern Rock, and another woman from the North Philadelphia area. Ebony Northan of Logan told me she likes to eat at Relish, which is located on 7152 Ogontz Ave. in Philadelphia. According to its site, Relish show-cases the finest in modern southern cuisine, the best in live jazz and a fantastic Saturday and Sunday Brunch. Its menu features feature selections like Southern Shrimp Scampi, Deviled “Cajun Shrimp” Eggs and Smothered Turkey Wings with Fresh Rosemary. 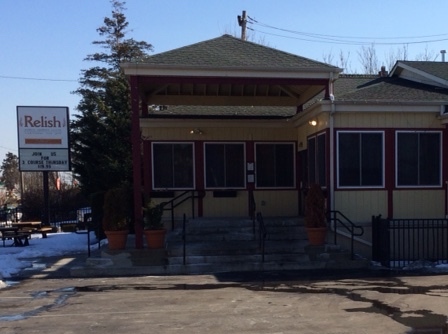 Other people noted going to take-out restaurants such as Wendy’s or Explorers Den, the latter of which is located directly down the street from La Salle’s main campus. As for food shopping, despite the fact a Fresh Grocer supermarket is located minutes from La Salle, Shop Rite was the overwhelming favorite for those I spoke to. The price of items was on everybody’s mind when they mentioned Shop Rite as their main source for groceries. Most of them said Shop Rite was cheaper than other supermarkets. There are several Shop Rites littered around La Salle’s main campus, and people seem to be willing to travel a little bit further to save some money. 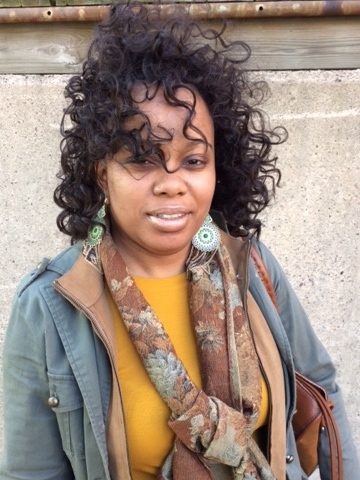 For example, Justine, who lives on the 5700 block of N. 20th st., would rather travel 2 miles to the Shop Rite on Front and Olney, then go to the Fresh Grocer that sits less than a half-mile from her home. Most of the people I talked to seemed to be critical of the food sources available to them. I believe this is due to the limited amount of options they have to choose from. People eventually get sick of eating the same things repeatedly. Exploring Nutrition needs to acknowledge their feelings, and start changing the attitudes of local residents by turning their criticisms into compliments.